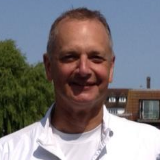 Andrew has taught tennis to players of all standard for over 20 years and enjoys passing on his enthusiasm for the game and helping people improve. He has previously worked at clubs, parks and schools throughout the UK. Andrew studied Sports Science and Recreation Management at Loughborough University where he was Men’s Tennis Captain. He still competes regularly on the ITF Seniors Circuit throughout Europe and has been ranked in the top 300 worldwide within his age group. Andrew will be running some free sessions for club members to kick-start our season. No need to reserve a place – just turn up and join in! The club offers after school coaching courses, school holiday tennis camps and a weekly junior club session. Courses are open to 3-14 year olds and loan rackets are available for children who are new to the game. Non-members welcome. Visit www.in2tennis.co.uk for further information and online booking for all our adult and junior coaching courses.